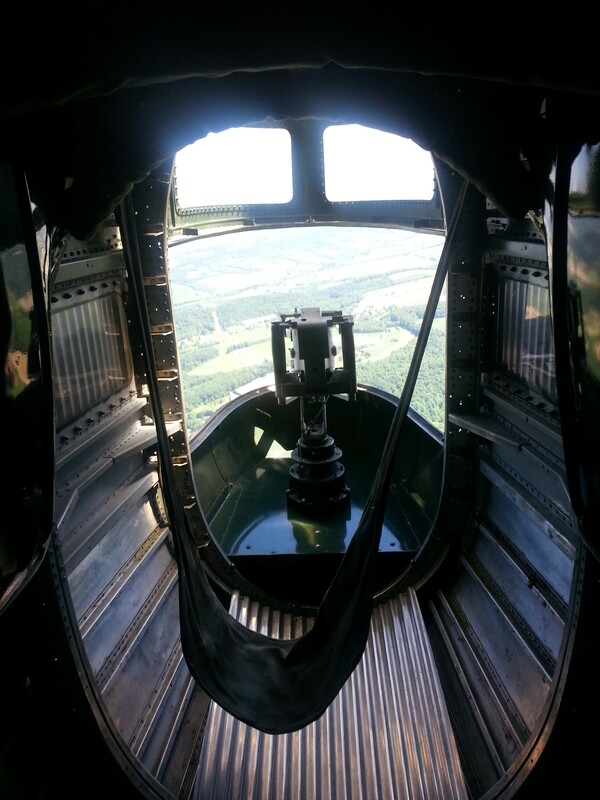 What better way to mark my first post on this blog than with my first warbird flight? The flight took place during a trip to the states this past summer, which I will be posting a number of stories from in the coming weeks. But first things first. It had already been the trip of a lifetime; we had taken in countless warbird sights and ticked off a number of personal “must see” aircraft. 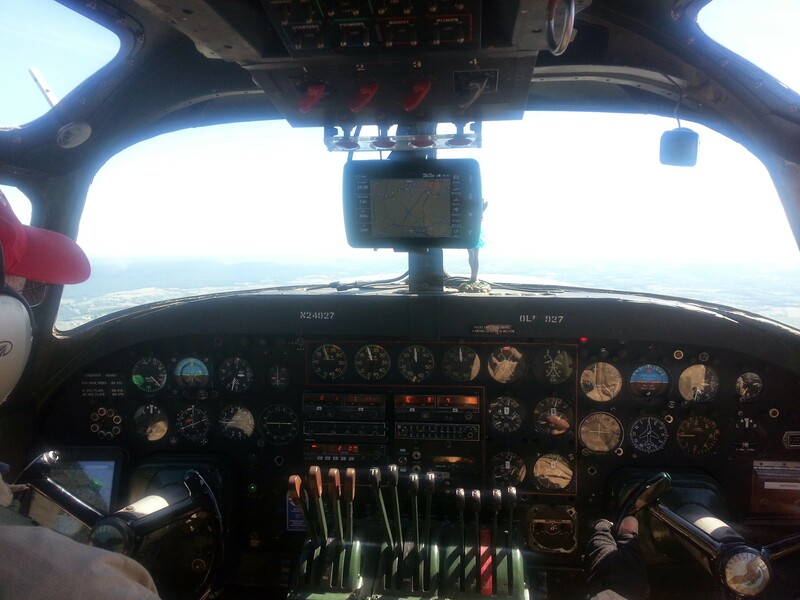 But this summer’s family trip to the states also brought about my first ever warbird flight. It was a warm clear morning at Reading airport, PA, on the first day of the Mid Atlantic Air Museum’s World War Two weekend (an excellent event, worthy of its own post!). We made our way through the extensive static park, then we could see, on the far side of the ramp was the main focus of our day, Diamond Lil. Diamond Lil waits on the ramp. 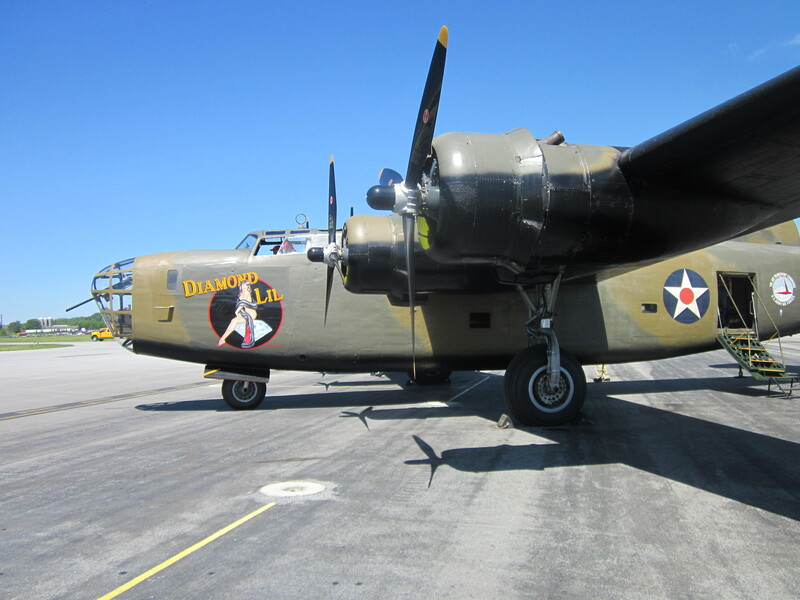 Diamond Lil, is a B24 Liberator, the oldest survivor of the type. (Though she was modified during the war to a civilian configuration, removing the bomb bay doors.) I have always wanted to see a liberator fly, but never got the chance, aside from Lils UK visit in the year I was born! As it turned out, we were booked on to the first flight of the day; so not only would I be fulfilling a dream of flying in a warbird, a B24 at that, I would also have flown on one before seeing one fly! 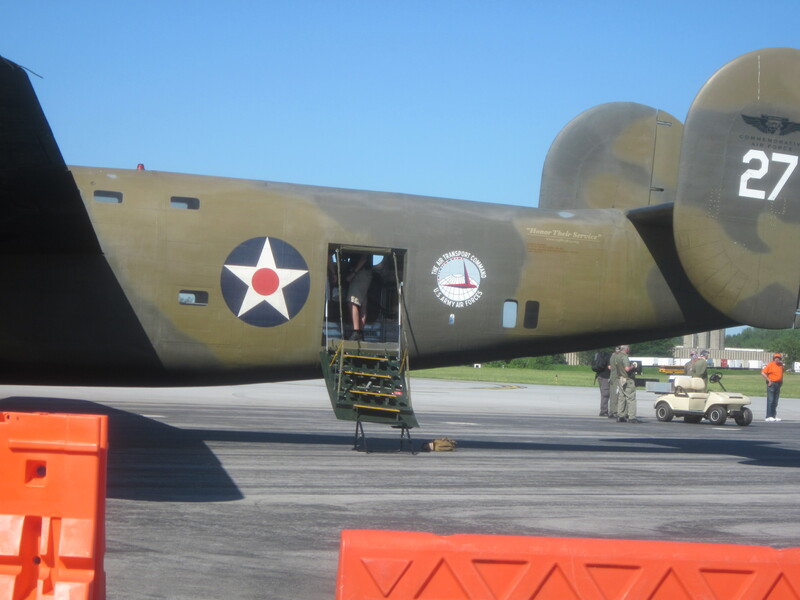 The CAF B24 is fitted with a far easier method of getting on board. This crew door in place of the usual bomb bay entrance. We had booked the flight months in advance and the holiday had in essence been planned around it. The process of signing in was painless and we were given out lanyards and passes for the trip and were soon being briefed by the crew chief about what we could expect on our flight and the usual safety requirements. 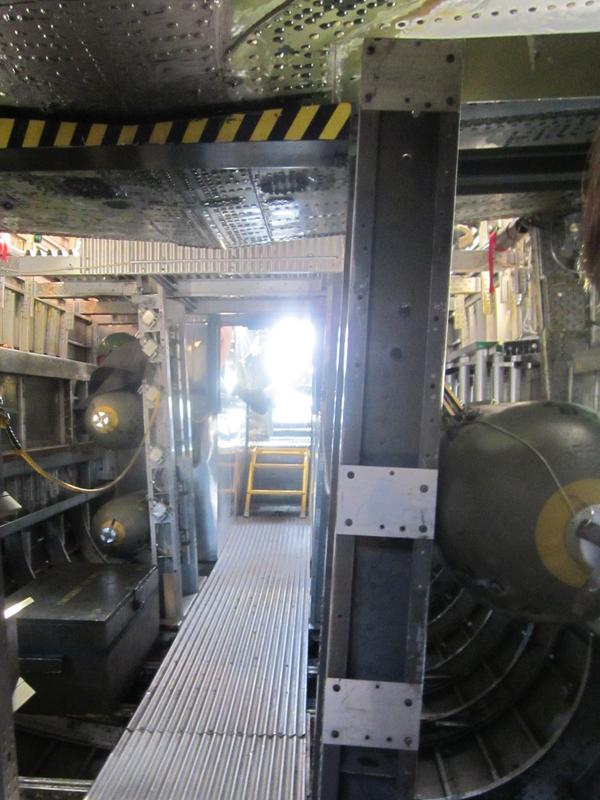 Our seats for landing, above the Bomb Bay. For departure we were sitting in the bomb-bay, but could see up into the cockpit without too much trouble, which made for a fascinating taxi. 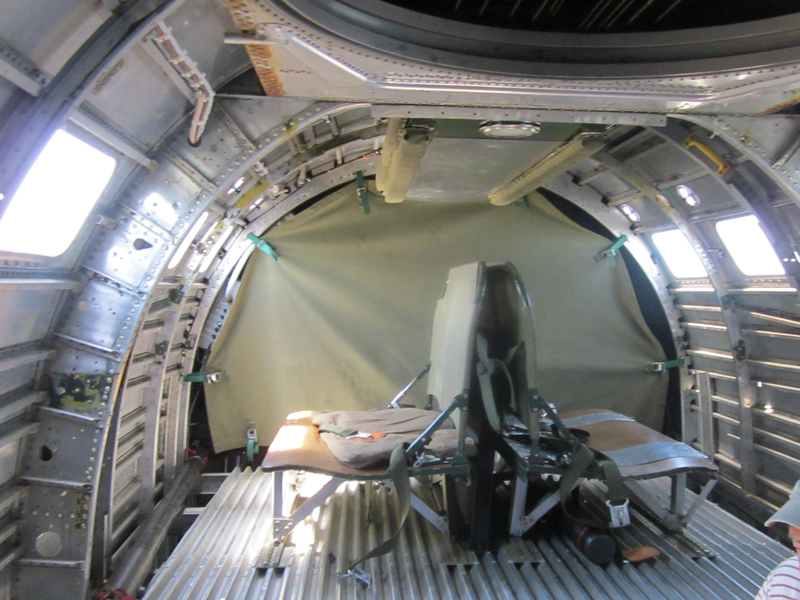 We were relieved to find out that, as part of Diamond Lils conversion during the war, a side passenger door had been installed, a much easier method of entry than crouching underneath the fuselage and climbing into the bomb-bay, as is the usual case with the aircraft. 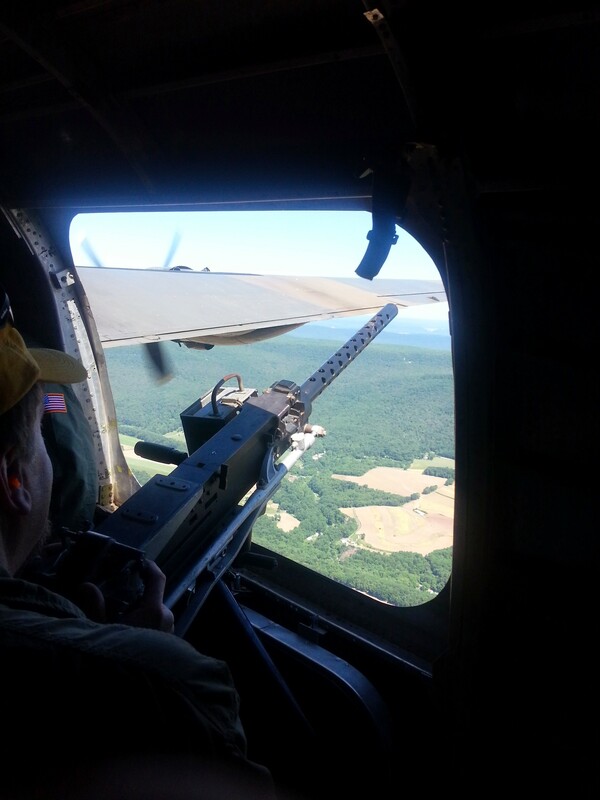 The view from our take-off position of the Bomb Bay. One thing I was not prepared for was the sheer noise of the engines as each started up! It was a long taxi to the active runway and as we rolled along the brakes were squeaking away as is often found with these big bombers, soon it was time for power checks when the excitement really started building! The aircraft lined up for takeoff, applied power and held on the brakes. As they were released the aircraft accelerated away with surprising force, pushing us sideways in our seats. Before we knew it we were airborne and climbing. Looking at up at the crew as we climbed out. Once the aircraft was settled down we were invited to move around the aircraft. My first port of call was the flight deck, I was given a pair of headphones so I could hear the radio calls and was able to watch as the pilots did their job. I was able to hear on the radio calls from the B25 and B17, which were also up on flights at the time, which added to the surreal experience. 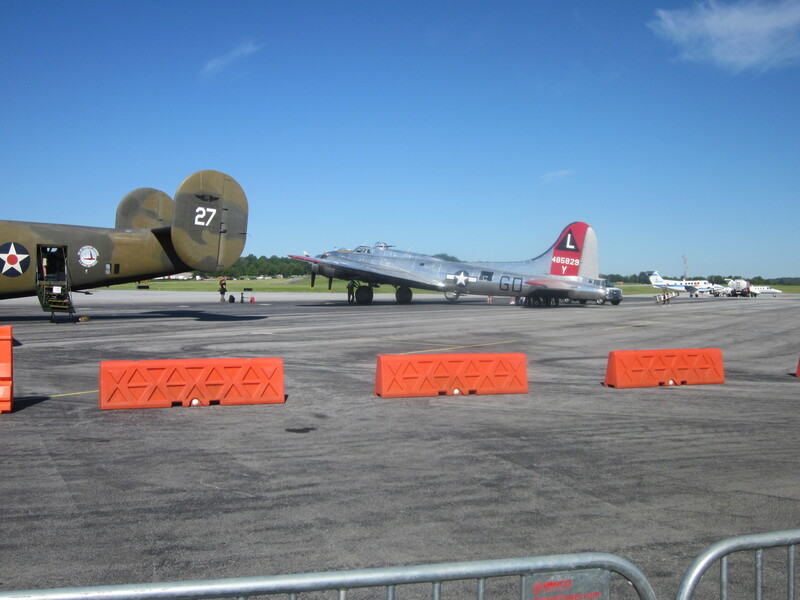 The B-17 parked alongside ‘Lil before our flight. Moving back down from the cockpit meant a crouching walk down through the bomb-bay, not an easy task on a turbulent day! At the end of this walk I was rewarded with the stunning view of the surrounding hills through the tail of the aircraft. 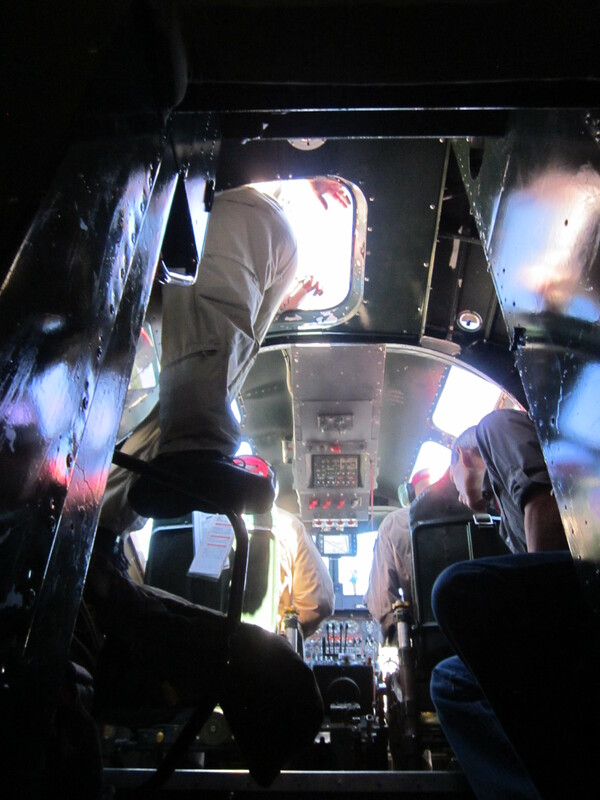 Now able to stand upright again we were invited to stand at the waist gunners point and hold a dummy gun, stood facing out of this open window really gave an insight into how it must have been back in the dark days of operations in this aircraft. Next came the careful steps down to the tail gunners position, which was limited to one person at a time to keep the aircraft stable, this is made even more difficult by the glass panel in the floor that has to be avoided! 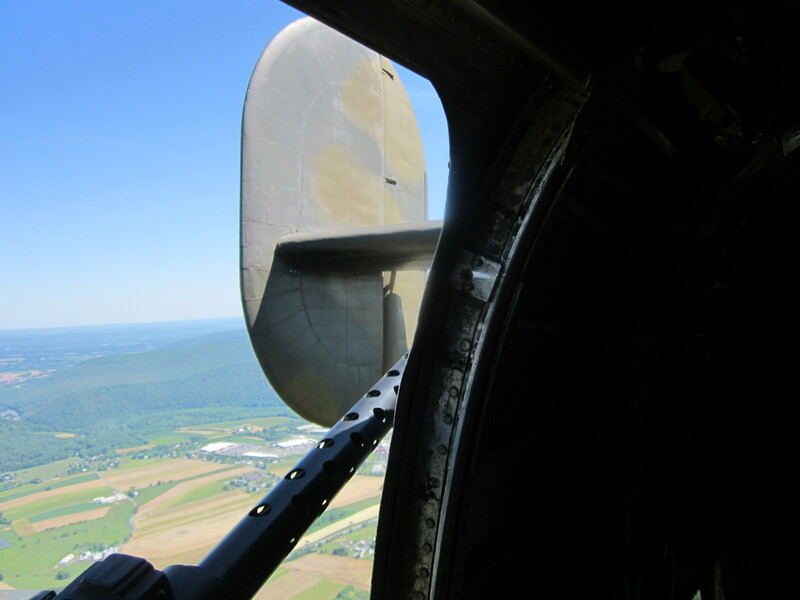 Looking out from the tail if the B24 is a real pinch yourself moment. 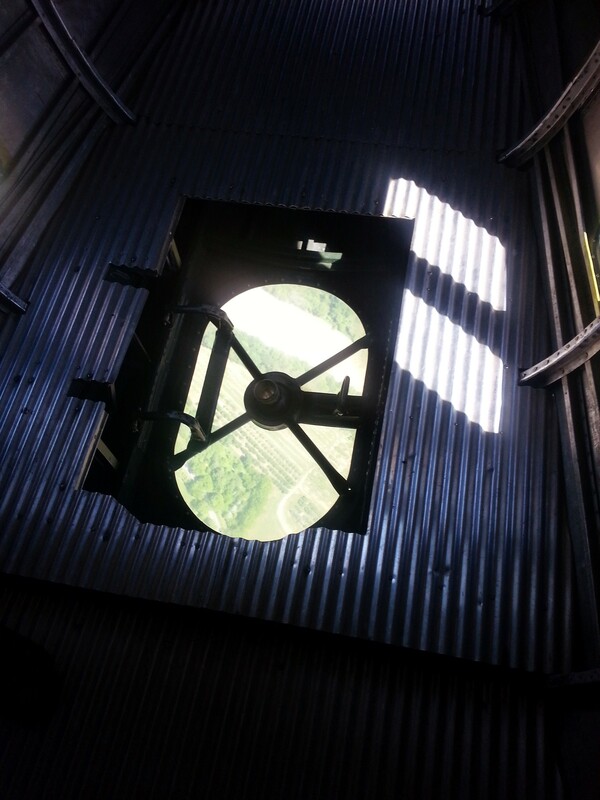 Sadly as quickly as it had all happened we got a tap on our shoulders signalling it was time to find our seats for landing, ours were up above the bomb bay, facing out over the wing. While difficult to get up to, they provided us with an excellent view of the approach and landing. A smooth touchdown followed and then a short taxi back to the ramp. With the engines shut down it was time to disembark this piece of living history and get back on dry land. A quick photo opportunity at the front of aircraft and it was all over. 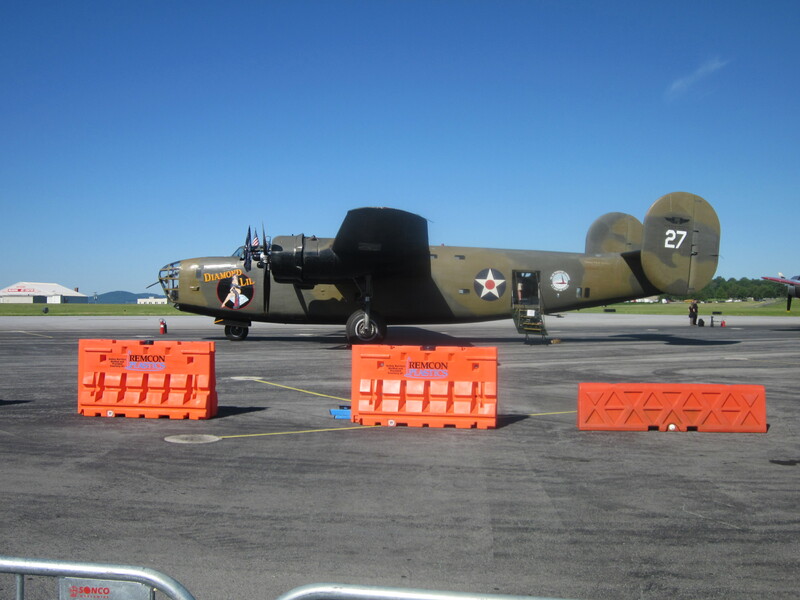 I did then get to experience a B24 flying from the ground as well. What a machine! Diamond Lil after our flight. It was an incredible experience; certainly one I shall never forget and I would like to thank the Commemorative Air Force team, who really made us feel a part of something, thanking us for our contribution on the day. They provide such unique opportunities, both with the B24 and other aircraft. Long may they continue. So glad you enjoyed your flight with us. Comments like yours help make some of the long days on tour endurable. Having a chance to show of our girl is a real pleasure and even so much more so when we get feedback like yours. It is fun watching our passengers enjoying their experience.